“Jeopardy!” had Alex Trebek recite rap lyrics again on Monday’s episode, sending Twitter into a frenzy. The syndicated game show is hosting its collegiate-level tournament this week and featured the category “Let’s Rap Kids!” which had the contestants guess the artist from the provided lyrics. 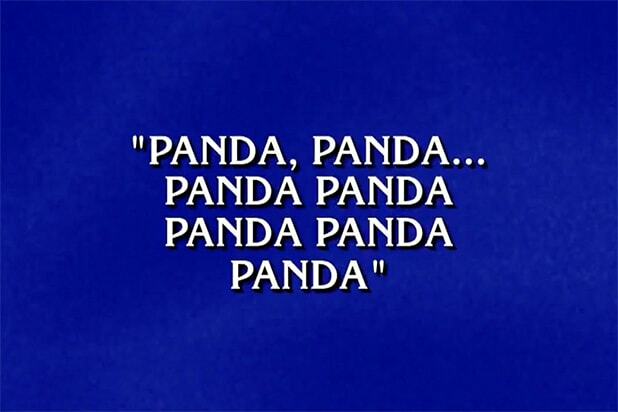 This is not the first time Trebek has rapped on the show. He previously recited the lyrics to the Drake and Future collaboration “Jumpman” in a 2016 episode. Bob Barker Is a True Professional, Exhibit A: The host dealt with a dopey "Price Is Right" contestant who prematurely reveals the correct answer. It's rare but not unheard of for "Jeopardy!" episodes to end with all three contestanta going all in on Final Jeopardy and losing. Here's the most recent example of such a humiliating triple defeat from January 2016. You could always count on "Match Game" for some wild times, and one of the highlights was when host Gene Rayburn attacked the cameraman for not allowing Charles Nelson Reilly to prep off-camera for his (admittedly off-color) visual gag. Bob Barker Is a True Professional, Exhibit B: The host dealt with a game of Ten Chances that gave away all the answers. Meet Leonard Cooper, 2013 "Jeopardy!" Teen Tournament Champion and author of one of the greatest victory declarations in game show history. Arguably the raunchiest answer in game show history came on a 1977 episode of "The Newlywed Game," which has since become an urban legend. Here is the raw footage from Whoopi Goldberg's last episode of "Hollywood Squares," featuring all the NSFW stuff that gets cut out of what you see on TV.